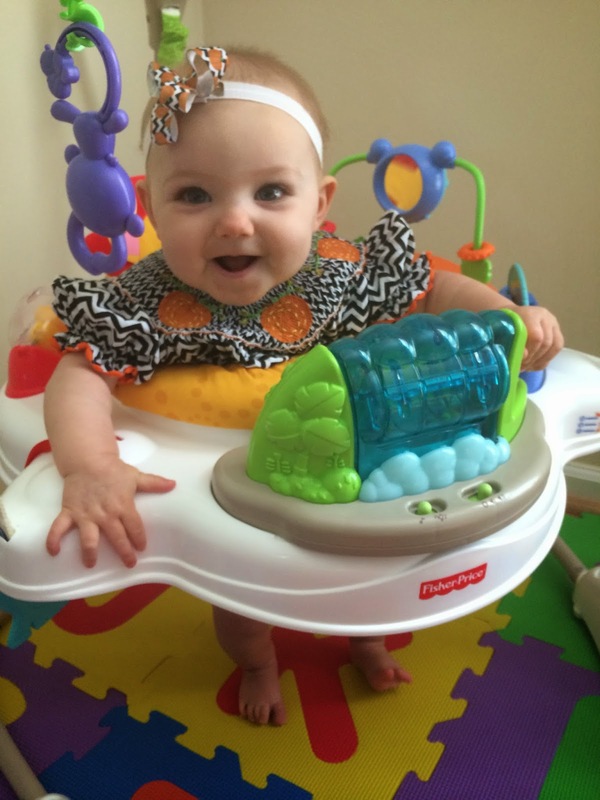 Another fun week with my favorite girl! 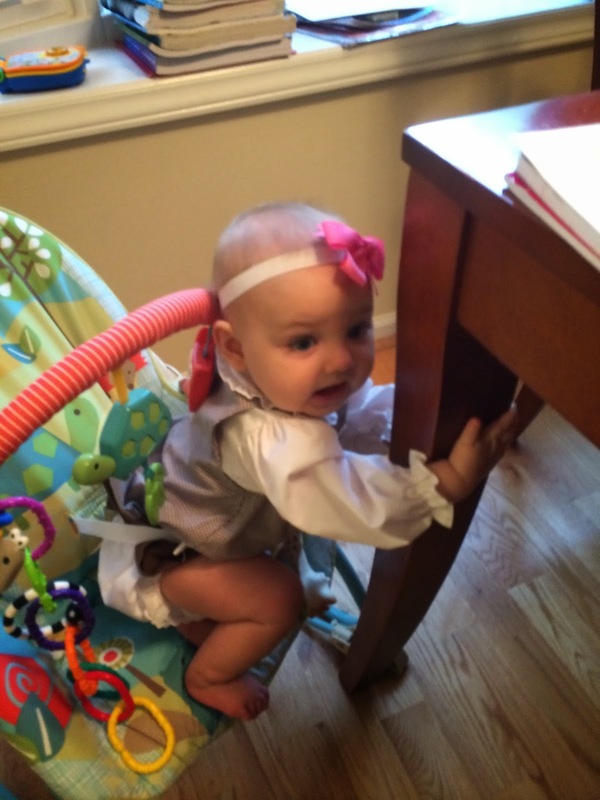 Yes, that would be my child trying to climb up the leg of my dining room table. Never a dull moment, I tell you. 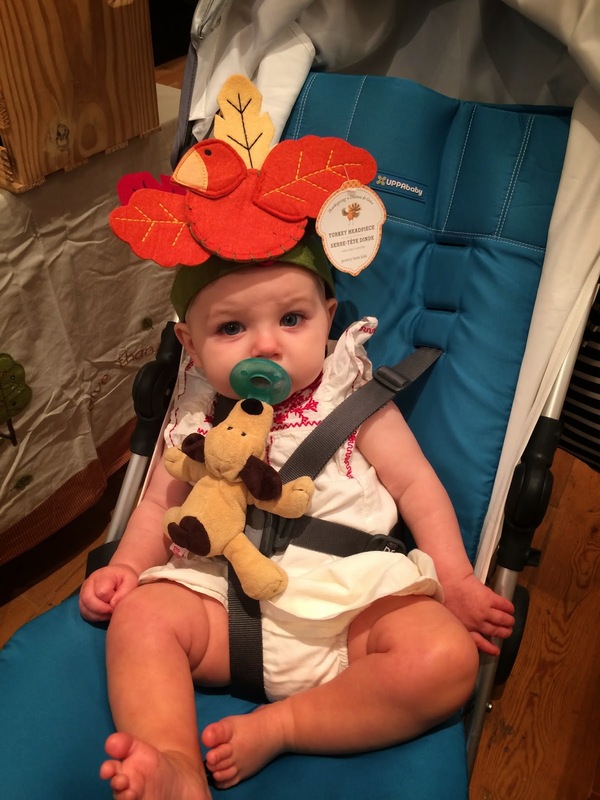 Tuesday, we hit up the mall and I found this hilarious turkey headpiece at Pottery Barn Kids. It's only $12, so I'm really tempted to go back and buy it! Ella also decided she did not like butternut squash anymore (even though she liked it before! ), and threw it on the floor, not once, but twice. Baby Mum Mums for dinner it was! We could also finally see that tooth in her mouth (even though she started cutting it a month ago), so I took her picture with her "first tooth" sticker....that she ended up eating. On Wednesday, we just hung out and played! Thursday morning, we made it to library story hour again, followed by lunch at Chipotle with Auntie Kaffy! 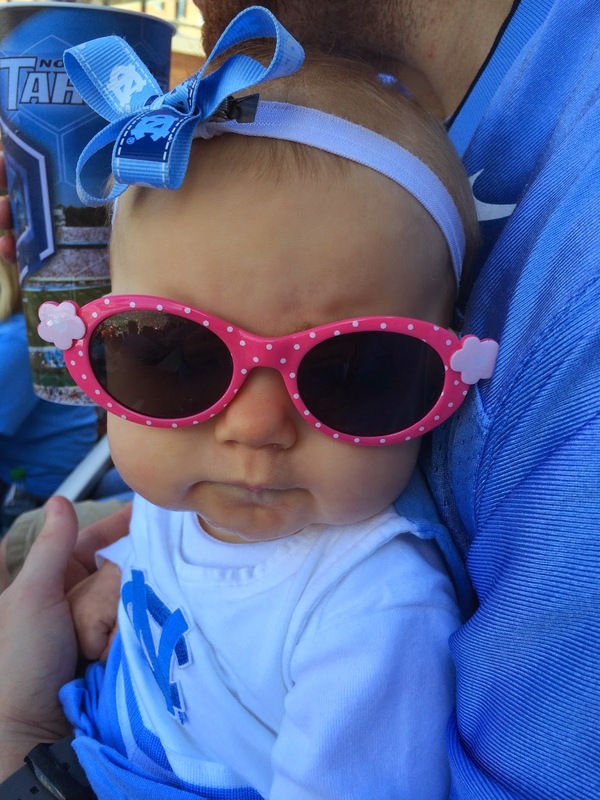 We also drove up to Chapel Hill Friday afternoon and stayed with Trav's parents. 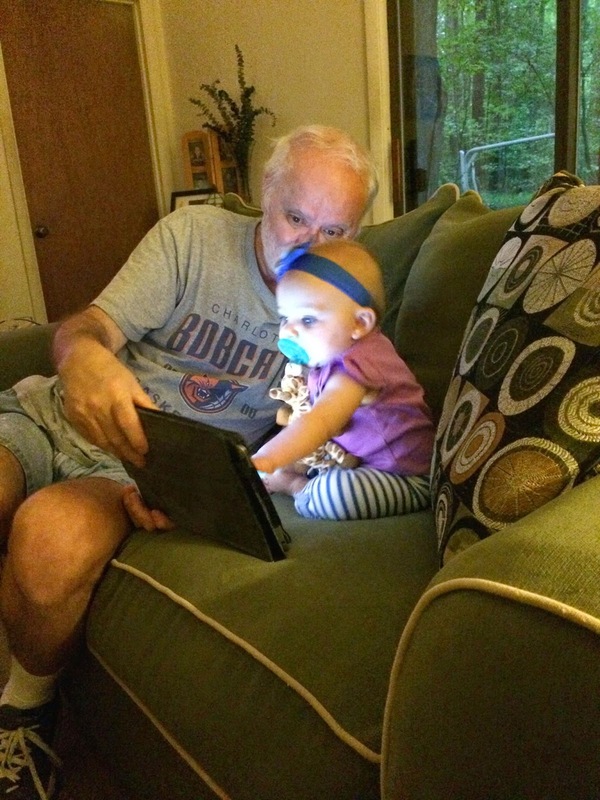 They are the just the sweetest grandparents...his dad had downloaded all of these new apps on his iPad just for Ella! 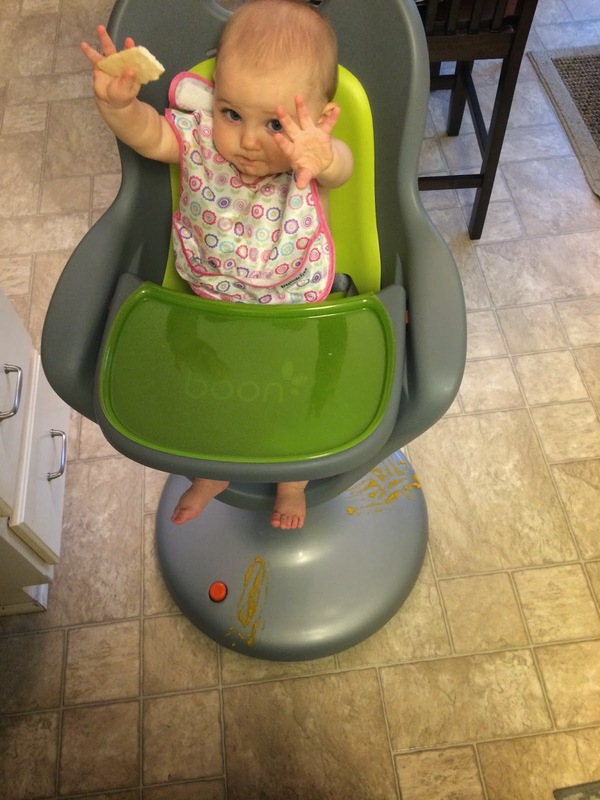 She loved playing on it!! 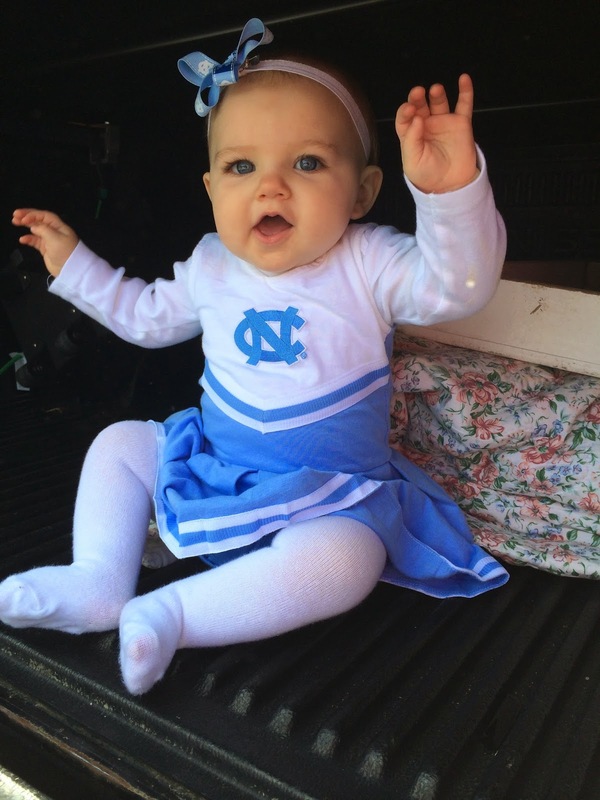 Saturday was another tailgate and football game! I noticed Ramses walking around at the bottom of our section, so I walked down about 2958409 steps with Ella and got in line to take her picture with him. When it was her turn, she reluctantly glanced at Ramses, and then decided the chain below was more exciting and would not look at the camera for me!!! I took 3 pictures (the best one is above) but I felt bad taking anymore because there were a lot of people still waiting in line! 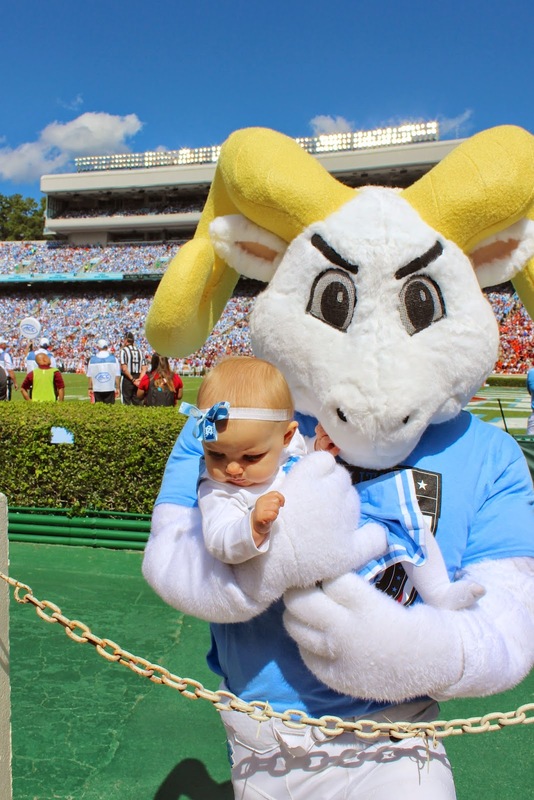 I am hoping Ramses will come by our section again at the next game so I can get a better picture of him and Ella! Yesterday, Ella had her own little Sunday Funday by taking a 3 hour nap while I went for a 9 mile run (don't worry, that didn't take me 3 hours! Ha! 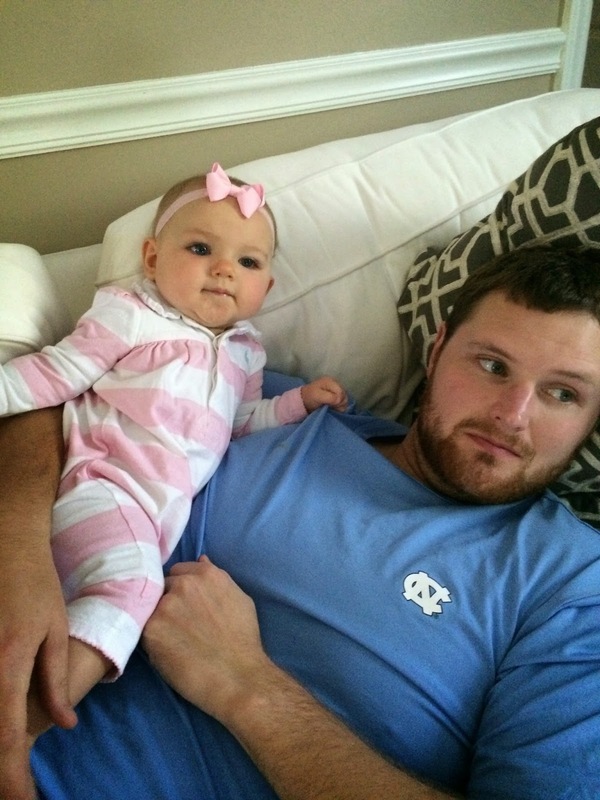 ), and watching football with her dad! 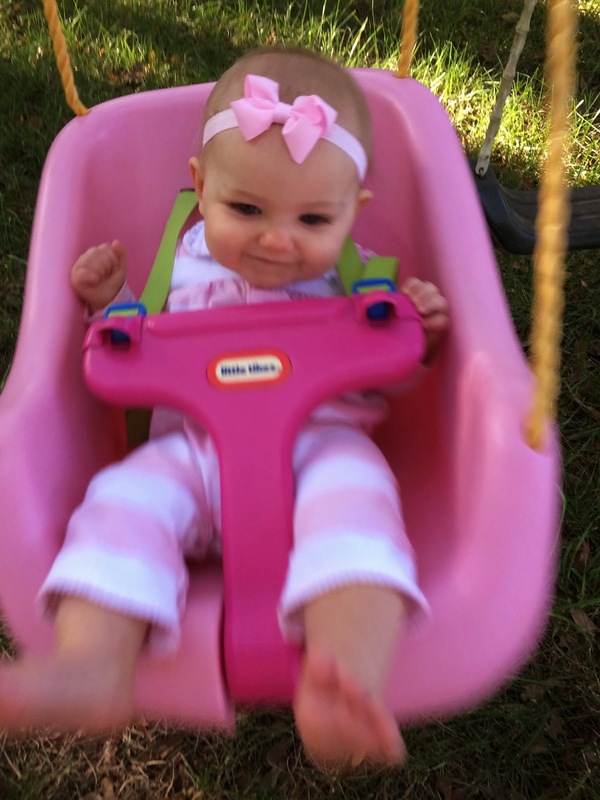 And because it was such a gorgeous day, of course we had to go outside and swing!